Guam Visitors Bureau invites families to join them on March 24 from 7 a.m. to 2 p.m. at the Gov. Joseph Flores Memorial Park in Tumon for this free event. 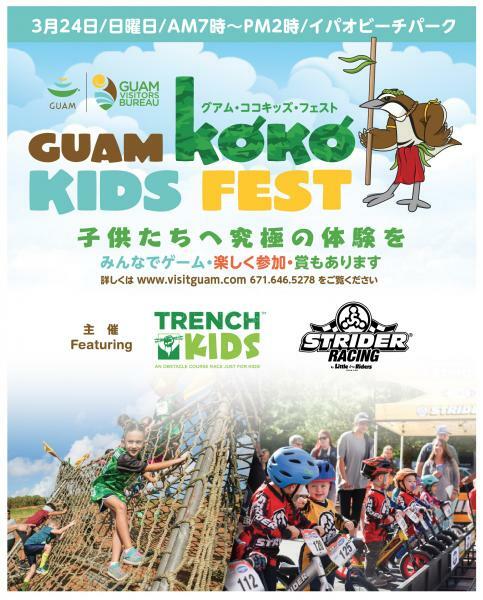 Ko’ko’ Kids Fest will be the ultimate kids' experience, offering a Trench Kids Challenge, Strider Bike races, and the largest Håfa Adai Pledge Kids event. Registration has officially opened online for the competitive events. Go to visitguam.com for more information.